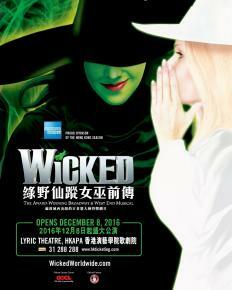 The musical 'Wicked' - now in HK! Already tired of wandering shopping malls with an ever-expanding Xmas shopping list? Not particularly looking forward to the upcoming turkey dinners? Perhaps this Winter you’re looking for something a little bit different… If so, you’re in for a treat! We’ve put together a hand-picked selection of alternative things to do this holiday season that are sure to spice up your winter like never before! Here’s the chance to release your inner chef in a culinary experience with Executive Chef Peggy Chan, owner of Grassroots Pantry. 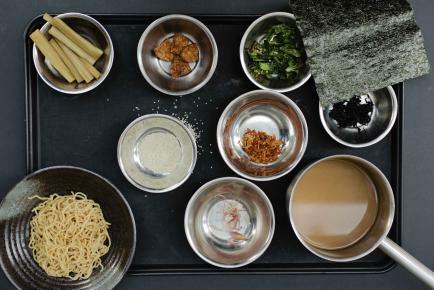 Specializing in techniques such as culturing, fermenting, dehydrating and soaking, Chef Peggy equips you with the skills needed to extract the most nutrition out of plant-based superfoods and effortlessly incorporate them into everyday meals. Included in the classes are a complimentary light breakfast, refreshments, as well as a personal cookbook and food documentary guidelines on how to reduce carbon footprint through clean eating. So impress friends and family this holiday with a hearty and healthy home cooked meal and kick start the new year with some eco-friendly menus under your belt! - Available weekdays from the third week of November, 9:00AM - 11:00AM. - For more info and to sign up, email info@grassrootspantry.com. - Classes are HK $880 per person or three classes for HK $2,380. This year, the Italian Chamber of Commerce will be hosting an inaugural Christmas-edition of their annual summer Italian Market downtown. Take a temporary break from everyday Hong Kong, indulge in some Panettone and fine wine, and check out the exquisite fashion and accessories selections. Who knows, you may head home with some additional, one-of-a-kind Christmas gifts! - December 10, 12:00PM - 8:00PM. 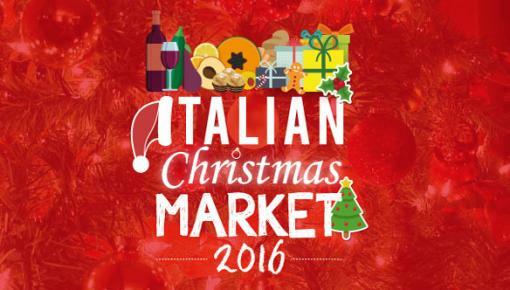 - For more information, visit ICC’s Italian Christmas Market page here. Families with little ones will be happy to learn that one of the city’s most iconic serviced apartments and clubhouse, Hong Kong Parkview, have teamed up with the Lizzie Bee Foundation to present their very first creative workshop. Lizzie Bee founder Liz Avern-Briers will be showing parents and kids how to craft three different ornamental decorations out of an innovative assortment of materials including aluminium beads, organza ribbon, and patterned paper. All proceeds from the event will go directly to Lizzie Bee’s Lost & Found program, which aims to reconnect society by training elderly with the skills needed to pass down traditional handicrafts techniques to underprivileged children. Don’t yet have plans for the holiday? Spend a meaningful weekend enjoying a family art session while giving back to the community! - December 17, 9:00AM - 12:00PM and 3:00PM - 6:00PM (Two sessions). - HK $250 per participant (all materials included). - For more info, click here. Theatregoers and musical lovers, this one's for you! Wicked will be debuting in Hong Kong on December 8th. A semi-prequel to the beloved Wizard of Oz, Wicked tells the uncommon tale of an extraordinary friendship between two student witches, their conflicting personalities, and the adventures that ensue. Arriving in town from a record-breaking tour in the UK, Ireland and Singapore, and with the first 14 shows already sold out, grab the final season extension tickets and dive into a world of magic and fantasy before it's too late! - December 8, 2016 - January 22, 2017 (Multiple showtimes). - For details and booking, click here. - Tickets from HK $445. The end of the year is always a good time to check things off that ‘explore Hong Kong’ bucket list, or to make a last minute one. Whether you’re a local, a visitor, or a nearly-localized expat, chances are, you have yet to visit the green grassy knolls and secluded rocky beaches the little-known Grass Island has to offer. Hidden north of the Sai Kung Country Park, Grass Island, also known as Tap Mun, is home to a population of 100, three temples, and a hilltop campsite. Escape the crowds, sip on some ice-less cold milk tea, and make some cow friends before the year is over! To get there simply take the 94 or 96R bus to Wong Shek Pier, and then ferry to Tap Mun (check the ferry timetable here)! Alternatively, you can take a ferry from the Ma Liu Shui Pier near University MTR station, however, the ferries there operate less regularly. Amidst the hustle and bustle of the season, it’s easy to get a little exhausted and rundown. Don’t fret, we’ve got your back with an all-natural ‘boost’ to ensure you get a good night’s sleep and wake up refreshed and ready to start a new day! 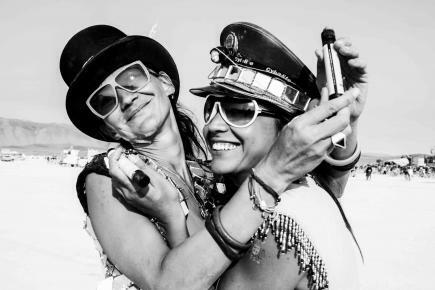 Developed via scientific research and personal experience of the company founder, Nina Faust’s Awake and Asleep Potions are an easy, sugar and caffeine-free solution to a long night out. Formulated into a single shot of goodness, the nutritional supplements restore electrolyte balance, boost energy levels with a potent dose of vitamin C and B, and detox the system with pure herbal extracts such as ginseng and green tea. The next time you’re struggling to stay awake for that Monday morning meeting, skip the caffeine and take one of these potions instead - your body will certainly be thankful! The potions are available online, as well as at Quintessentially, Kee Club and the Langham Place Hotel.